US Internal Auditor magazine, 2012. Audit & Risk website (IIA), 2011. We will keep you updated with news and events. James has helped me and my team in a number of areas, examples being improving the way we conduct and report on our audits and helping with our assurance mapping. This has all been done in a positive and supportive manner, helping the team to embed learning from these sessions. I contacted [James] for advice as to how Assurance Mapping techniques could be applied in my own authority. Not only were his ideas very constructive, his approach was very professional yet carried out in a friendly, easy going manner which greatly helped my understanding of the issues involved. James was then always happy to deal with any follow up queries I had and he helped to fine tune and discuss the approach with the rest of my team who similarly very quickly formed the same positive view of James’s style and manner. We have recently introduced this new approach into my authority and the results and comments to date have been very encouraging, thanks in no small way to James’s advice and assistance. I would have no hesitation recommending James to anyone. We invited James to look out our ways of working from a LEAN perspective, and help us focus on those key areas where we could make real improvement, both for us, as an audit team, and for our customers. James worked closely with one of our sub teams, getting to the root causes of our concerns, and then facilitated a workshop day for the whole partnership where we explored the issues and came up with agreed ways forward. James was energetic and engaging; he clearly knows what gets in the way of organisations being lean, and helped us develop an action plan that we know will deliver results. James had conversations with us and read through our existing methodology documentation, before proposing an agenda and associated materials for a workshop. We had a very enjoyable and energising time, and James’ experience and facilitation style helped us to identify a raft of efficiency ideas, two of which we prioritised and worked on in more detail at the workshop itself. James ran a very successful lean auditing workshop for us, working in close collaboration with my team and I. It was instrumental in surfacing a number of opportunities to improve our team ways of working and has helped us make improvements in our productivity and value adding contribution. James is to be highly recommended. James has been excellent in terms of helping me to focus on key themes and messaging specific to my organisation, whilst ensuring that the general assurance strategy we have drawn up reflects best practice. I have enjoyed our sessions together, and I think a large part of that is the way James has not imposed a standard one size fits all approach, rather working with me to really understand our business and drawing on my knowledge to shape a suitable risk, audit and assurance strategy. This has all been done within a fairly demanding timeframe so I have appreciated James’ flexibility in working around my day to day business demands. Consequently I feel the output is very much tailored to our business, and represents an efficient and effective investment of time and money. I look forward to working with James in the future and would certainly recommend him for any work of this nature given the experience that I have had. James’ coaching style really works for me, helping me get to the core of the matter and always coming away with my own strategy and next steps. I feel listened to and supported yet completely challenged, this balance is perfect for moving forward and taking action. James worked with me to turn around an internal audit department and bring it up to date. Over the course of six months he worked tirelessly to help me establish a new strategic direction and implement new processes, reporting etc. James brought very strong project management skills and a clarity of insight to the project. He was extremely effective at simply getting things done and maintained his sense of humour during what was a challenging time for all of us. I am pleased to say that we met all the deadlines and the department is now functioning as it should. I am a Head of Internal Audit for an investment platform in the City. I use James to provide a specific tailored training program for the audit team. James and I discuss in advance the exact training requirements and he then visits our office to facilitate and deliver the training to develop the audit team's business understanding and auditing techniques. James is able to provide this as an ongoing training program meaning he understands our business and the audit team's strengths and development needs - therefore the training evolves and fits exactly the needs of the audit team. Furthermore, James is able to provide me, as Head of Internal Audit, with coaching and advice on how to do my job better. I highly recommend James because of the high quality advice and training he has provided to me and my team. James has been a major contributor to the significantly enhanced performance of the audit team and to my own improved individual performance as a senior business manger. James worked in a very professional, timely and attentive way during his assignment with us. He was able to engage the members of the MENON board around the key issues and to help them reaching a consensus on some important points of discussion. His facilitation work made possible the emergence of tacit issues and ironed out some decisions in a very straight but at the same time respectful way. I effectively learned a lot in a what was a compressed one day and a half training about assurance mapping. James was able to explain the complexity and tried to make it simple. Nice balance of theory and practice. I feel confident in applying a different approach to different audits. I liked the easy going atmosphere. James is actually one of my favored instructors. He is always very approachable and encouraging. He knows exactly how to trigger you to think about how to approach assurance mapping, that in relation to your own organization. Exceeded my expectations. James Paterson's considered explanations of lean and how it applies to internal auditing are extremely useful for internal audit professionals who want to develop their own capabilities and the capabilities of their audit function and the efficiency and effectiveness of the wider organisation in which they work. There are many internal audit activities which can be improved using the principles explained in this book [Lean Auditing: Driving Added Value and Efficiency in Internal Audit]. 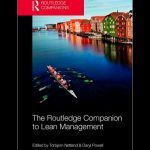 James Paterson's book [Lean Auditing: Driving Added Value and Efficiency in Internal Audit] provides the reader with an excellent guide to lean auditing. But not only that it also provides the reader with an excellent framework for how to lead an Internal Audit function and how to develop strong working relationships with internal audit's key stakeholders. I would thoroughly recommend this book [Lean Auditing: Driving Added Value and Efficiency in Internal Audit] to Heads of internal audit, and all internal audit professionals, who want to deliver more valuable work to their key stakeholders (and their organisation's underlying customers) and who want to ensure that they focus their efforts on only the most valuable internal audit work. Now, who doesn't want to deliver that? An excellent read. James takes a profession that could be seen as dull and boring and brings colour to it. This is a book [Lean Auditing: Driving Added Value and Efficiency in Internal Audit] for progressive auditors and the next generation - individuals who really see the value in what they are doing and how to get the absolute maximum from the resource. It will also be useful for those people who choose auditors and get audited - what they should be looking for and the questions they should be asking. Thank you for the excellent day…The day that you provided was tailored to our requirements, included sufficient details on how lean can add benefit to the work place, was provided very professionally whilst enabling it be a fun day!!. The feedback from staff on the day was excellent. They confirmed that they feel equipped and confident to use a Lean/Risk Based approach, which is down to the delivery of the information you provided. Helen Jones, West Yorkshire Audit Consortium. James was really engaging from the start. Interesting to note that delegates shared many of the same problems. Solutions offered were simple and effective. Staff who attended all benefited and came back to the office full of ideas and enthusiasm. David Harwood, Head of Audit, Huntingdon CC. James worked with me to produce a bespoke lean systems workshop. All delegates found that James’s delivery to be excellent and the content was interesting and thought provoking. An enjoyable and informative day. Graham Harrison, Audit Manager Dudley. Bring him back every year - Root Cause Analysis next time, please. He is fantastic! Fantastic! I would like to see him back! Bring him back next year! Participants: Lean and Agile Internal Audit: Driving Value Add, Insight and Productivity in Internal Audit, General Audit Management Conference, Dallas, 2019. Thank you again for your participation in the 2019 GAM conference to present the pre-conference workshop on Lean and Agile Internal Audit. The feedback both onsite and through the speaker evaluation was extremely positive. Attendees found great value in attending your session and even quoted it as the best session of the entire conference! Many requested an encore performance and the opportunity to participate in a full day workshop due to the desire for more time to learn from you. I happily endorse you for any speaking opportunity that becomes available and look forward to again having you as a speaker at a future IIA conference. Thank you so much for what has been an extremely valuable training course! The delivery of the training was exceptional and your generous and professional sharing of Pharma knowledge and experience made for a very enriching experience. You did a great job making the material relevant and keeping things interesting… we had multiple comments from participants about how much they enjoyed and found the course beneficial. Your workshop differed so much because it was shot through with pragmatism and delivered in a refreshingly jargon free manner. Most of the stuff we do as auditors is common sense and there is no need to dress it up as pseudo-science hiding behind meaningless management speak – yet too many on the speaking circuit do just that. I thought you got to the heart of the matter in a very clear and direct way; you helped crystallise some thoughts I have been having recently and offered new insights that I was not familiar with ……so a thoroughly good session, one of the best I have been to for a long time. Des Kirkpatrick, Network Housing Group. The courses are given on a structured way and very clearly. The underlying documentation is useful and available in pdf. format. There is a lot of interaction with the students. The students can contribute to the choice of topics they are interested in. The workshop content and delivery was excellent, for both a refresher for experienced staff and for new comers. I would have no hesitation in recommending the course. The course was very good and informative with James excellent presenter and trainer and using his wide range of experience and knowledge help illustrate the content. In my view every aspect of this course was excellent. The content and style were GREAT. There was very good participation & James does an excellent job of encouraging and facilitating this but at the same time controlling it so that that it does not impinge on time management. Would highly recommend that you run this again and anything else James has to offer. These occasions can be a valuable "morale" booster and a good networking opportunity as well. The presenter was probably the best I’ve had on a IIA course. Excellent, very passionate and engaging. I found the workshop that James delivered to be very helpful and very informative and think that it will benefit us all moving forward. We are currently in the process of moving to using the most recent version of Galileo where the focus will be more on risk and thus a lot of the knowledge gained at the course can be put into practice. I think that the course would be very beneficial to others as well. Very good feedback [for you] since 93% was in the 5 (Excellent) or 4 (Very good) category. Helena Abel, Professional courses organiser ACCA UK. Thorough background knowledge. Grounded in practical audit processes and ideas to take back. Will recommend course with this tutor. Your course was excellent, I can’t remember the last time I attended such a good, relevant and topical course. Many of our delegates have attended the CIPFA Audit Conference for a number of years, making them a very discerning and often hard-to-please audience. James’ session on the challenges facing heads of internal audit today was described by many attendees as one of the best of the conference, particularly in terms of relevance and focus.